UPDATE: Now with making of video and even more will.i.am! This week,Lexus built a hover board, more or less. Last week,it teamed up withwill.i.amand MLF to create the world's largest Guitar Hero-style game. They used the new Lexus NX, lasers, and lots and lots of lasers. MLF (which, for those of you who didn't know, stands for Marshmallow Laser Feast, and not somethng disgusting) took to a disused runway and lined it with over 300 projection mapped, motion sensitive audio lasers and lights (worth over £1,000,000). Here's how it was made. T3's close, personal friend will.i.am's challenge was to conduct three cars around the track -- hitting the audio lasers at the correct speed and rhythm. The computer programming for these lights took four technicians a total of 13 days to configure (and the lights can be seen from over 10 miles away). 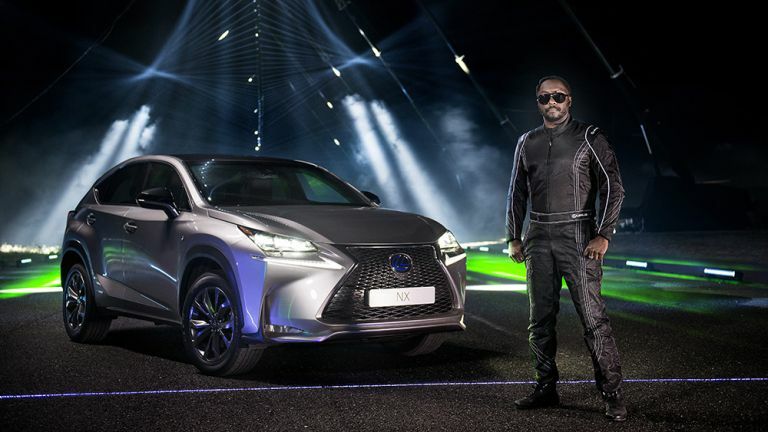 MLF Creative Director, Barnaby Steel said, "Together with Lexus, we've created a huge musical game with three stunt drivers as the players and will.i.am as the conductor. Music is created when the cars trigger notes and samples by hitting beams of light that are motion sensitive. It's basically like a giant laser harp with cars instead of fingers."